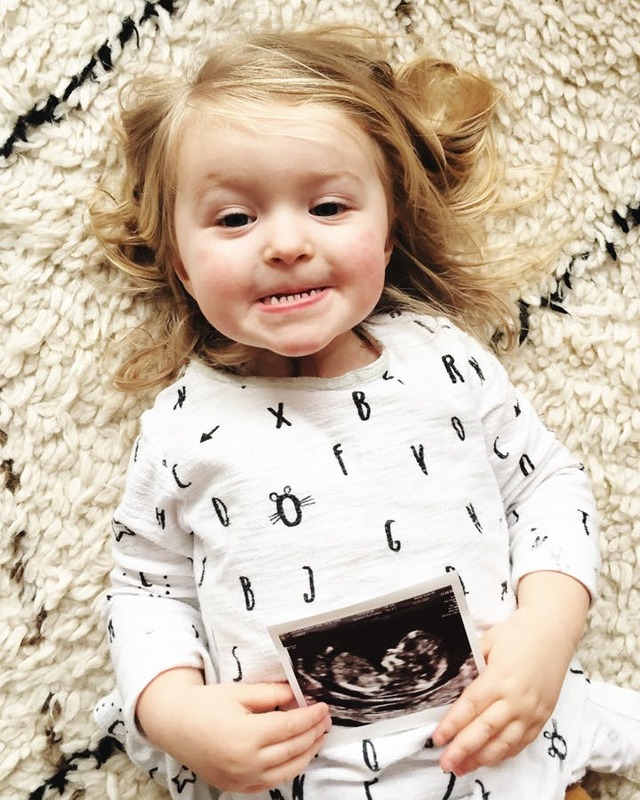 Home > Blog > Exciting News! It's been a stupidly long time since we last blogged but one of our resolutions for 2017 is to start our blog up again and actually post stuff! So what better way to start than with some news..
We (Lucas & Hayley) are expecting baby number 2, launching July 2017. 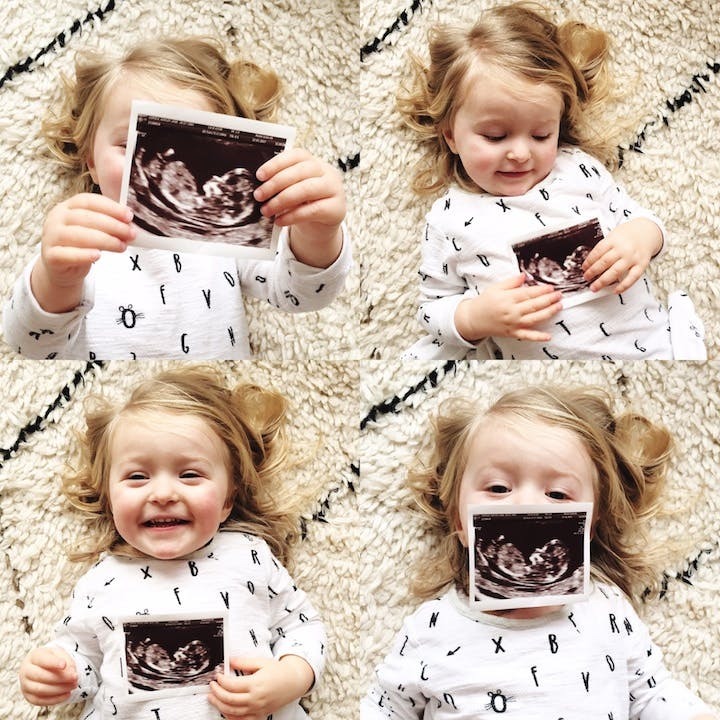 As you can see our daughter June is REALLY excited about it! Not gonna lie, it's been a difficult few months with morning (all day!) sickness, an energetic toddler in the office and the chaos of the busy Christmas period. But it's a new year, things are a tiny bit less crazy and we're really looking forward to the summer and becoming a family of four! July seems quite far away but we're sure the months will fly by. In the meantime we've got a busy few months ahead working on lots of new products, from a brand new collection of pin badges, to lovely new wash bags and new additions to our wedding collection. Here's to a fun-filled 2017!